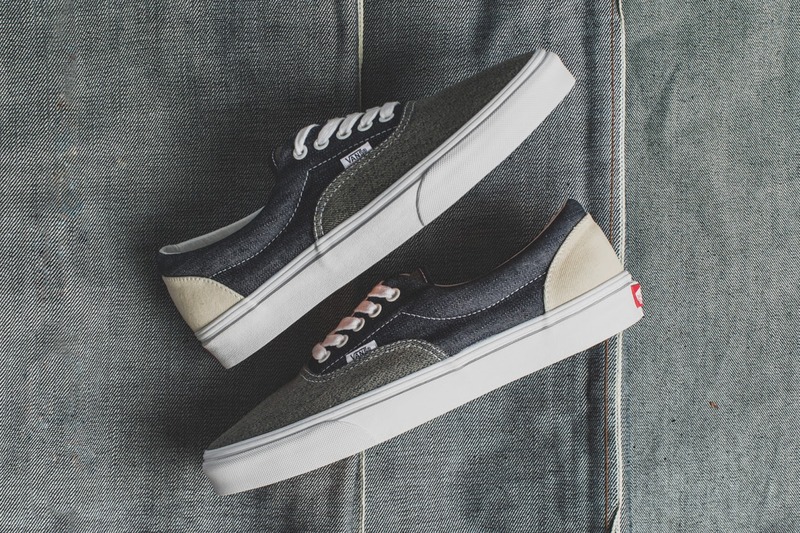 In addition to dropping its “Suiting Mix” pack, Vans Classics has also got a “Denim Mix” pack available for those of you who prefer your materials a little more rugged. Like the aforementioned pack, the “Denim Mix” includes both an Era (pictured) and Classic Slip-On. Here, the two shoes feature a mix of different color denim panels with grey, navy and off-white denim included in the mix. Look for the “Denim Mix” pack now at Vans.